The technology press has defined it as a robot that combines the versatility of R2D2 with the emotional ability of Wall-e. Buddy does not have a humanoid look and its body resembles a vacuum cleaner, but its screen, with large eyes that constantly change their expression, make it really likeable. Buddy can recognize the different members of a family, alert to a fire at home, make video calls or dance. 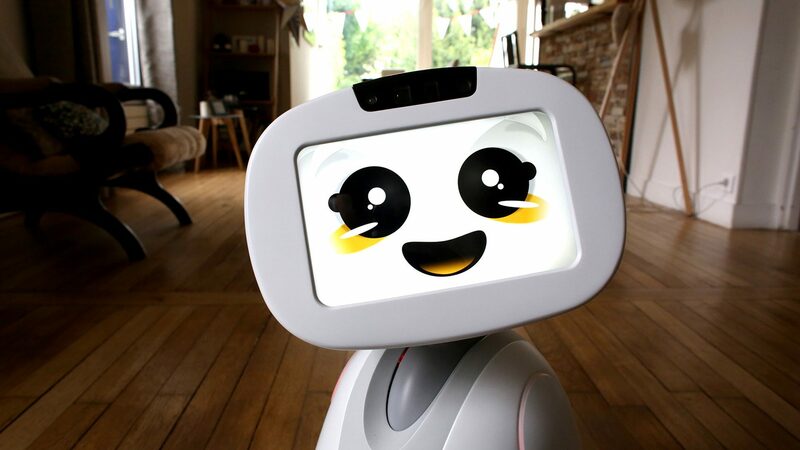 The French company Bluefrog Robotics offers reservations for Buddy, which may be “adopted” in July 2016. 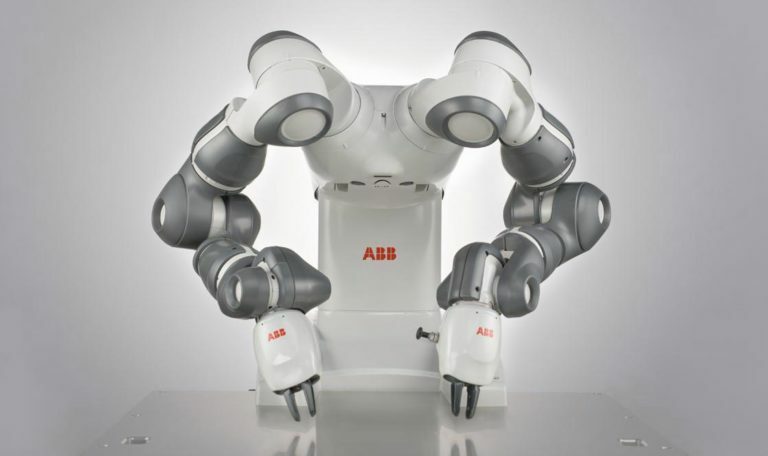 YuMi was presented at the Davos forum as “the first truly collaborative robot in the world” by its manufacturer ABB, one of the leading manufacturers of industrial robots. Headless, with no human features and no emotional component, YuMi has very precise movements. So much so that it can perform any manual task, from serving a cup of tea or using a tablet to inserting a thread in a needle. What makes it different according to ABB is that it is completely safe for those who interact with the machine. YuMi is on the market and is offered as a partner for working with human beings in manufacturing settings. 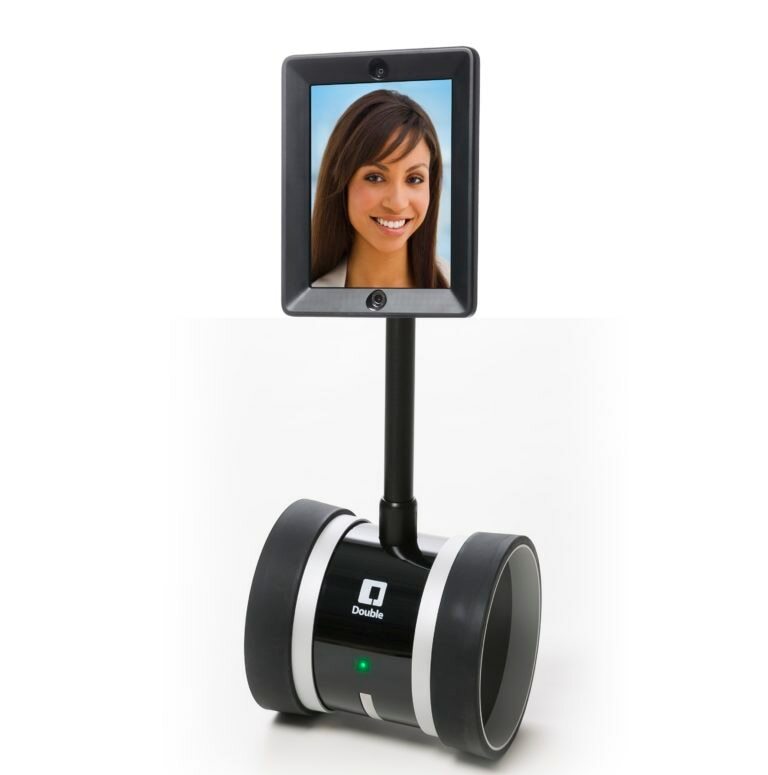 Double, the telepresence robot by Double Robotics, became famous in a chapter of the series Modern Family where the father, Phil, a technology buff, kept an eye on and pursued his children and his wife throughout the house using an iPad fitted to a stick on wheels. Joking aside, Double Robotics is taking its system very seriously and at the last CES fair in Las Vegas presented its Double 2 at a price of 3,000 dollars. Its proposal is a system that provides mobility to a classic videoconference and enables those who are away from the office to move freely thanks to a sophisticated remote control system. Pepper is a humanoid robot designed to be another member of the family. Its main feature is that it has been programmed to recognize the emotions of people and react according to what it perceives. It recognizes our voice, analyzes gestures or movements and adapts to the tastes and habits according to the person it interacts with. Zowi is offered by the Spanish company BQ as a way of awakening the interest in programming in children. 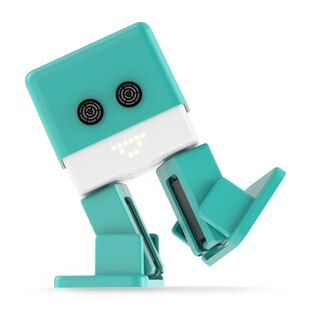 Zowi can be a toy that dances, walks and avoids obstacles and responds to sounds. But it also has a panel programmable by blocks to add new movements or sounds. Zowi can be taken apart to view its inside and even add sensors. A lesson in robotics with a very entertaining side.